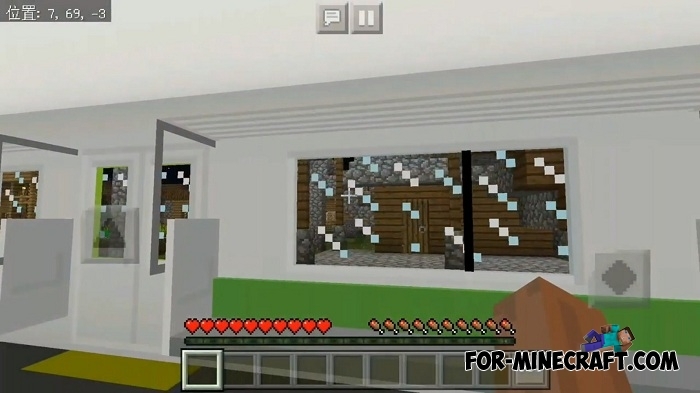 A full train will appear in Minecraft Pocket Edition for two passengers if you download this funny addon. 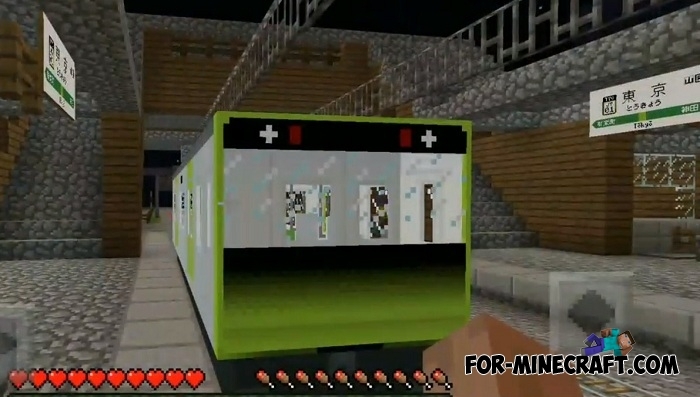 First, pay attention to the dimensions of this train, it exceeds a minecart several times and can carry no more than two players. Everything works like in real life: go into the train and occupy the passenger seat (with the exception of the control buttons). 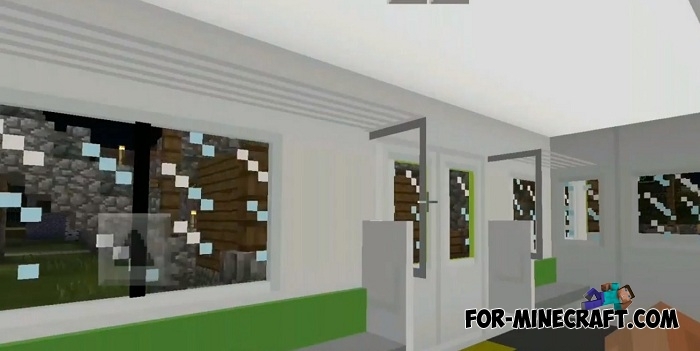 This train is very useful for large cities and megacities with a large subway network and a lot of stations. For example, put the train to Blue City (a giant city consisting of a dozen areas and a whole subway system). Make a trip on this train along the already prepared railway tracks and explore the city photographing the sights.